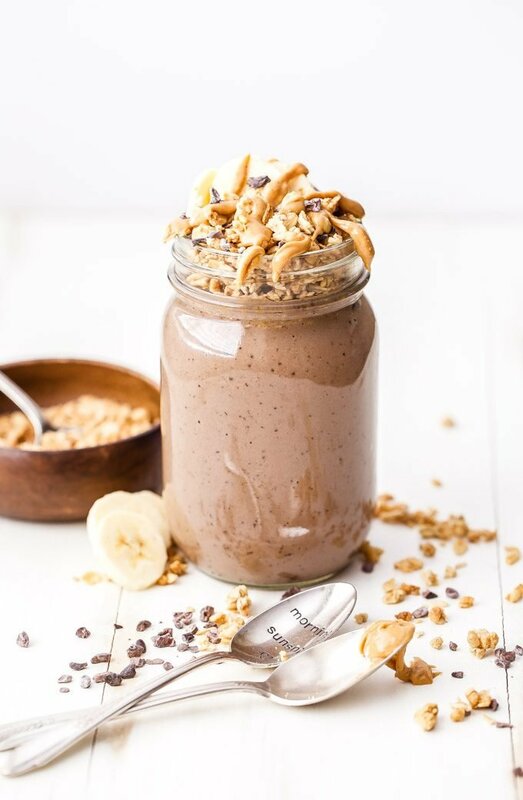 Chocolate Peanut Butter Espresso Smoothie Parfait is the solution for people who love to drink smoothies, but want something to eat too. 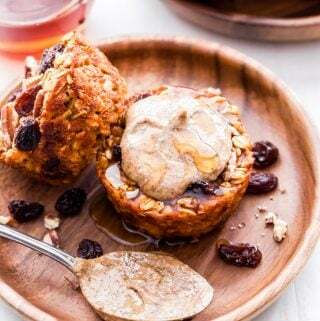 Swirl in the granola and eat it with a spoon or drink it with a straw and save the crunch for the end! 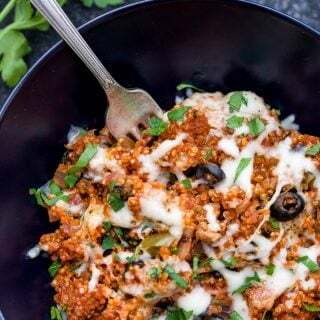 Thanks to American Dairy Association Mideast for sponsoring this post. As always all opinions are my own. The weather has been so pleasant in Denver lately. 60’s and even a 70 degree day last week! We’ve gone on a few hikes on the weekends and I’m loving that I don’t have to put on so many layers of clothes in the morning when I go running. 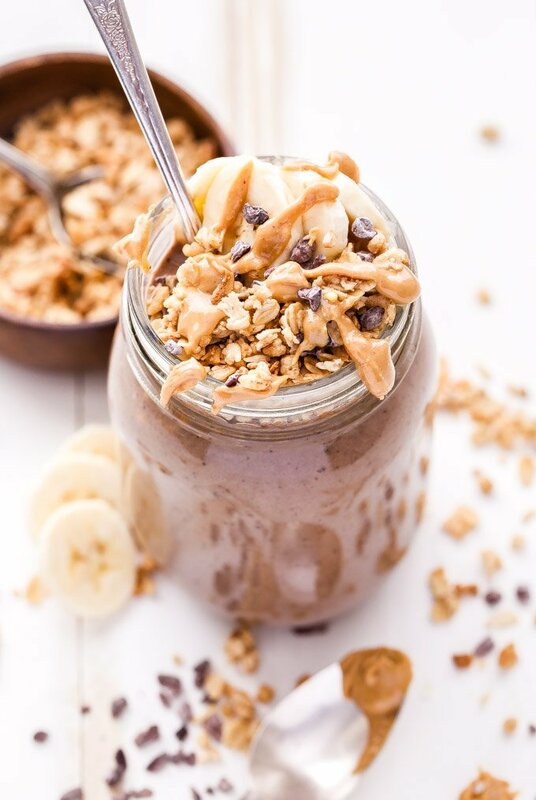 The non-frigid temperatures have also brought back my craving for smoothies after a run or hike and lately this Chocolate Peanut Butter Espresso Smoothie Parfait has really been hitting the spot! Topping the creamy, chocolatey smoothie with a layer of granola gave me that crunch/chew factor I was missing. There’s two ways to consume this smoothie parfait. 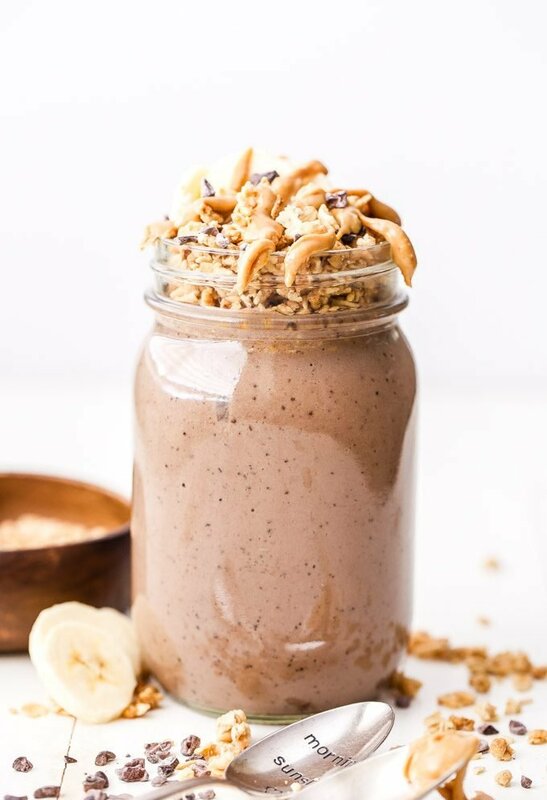 Drink it with a straw until you hit the granola layer then break out the spoon and finish it off, or swirl the granola into the smoothie and eat the entire thing with a spoon. I went with the latter. To make this smoothie I used lowfat chocolate milk. It added lots of chocolate flavor and it’s a great recovery drink to have after exercising. Chocolate milk can help runners rebuild and replenish their muscles after exercise. It naturally provides high-quality protein to build lean muscle and contains the recommended 3:1 carb: protein ratio for recovery. Lowfat chocolate milk has nine essential nutrients that runners/athletes need. Since I’m not a fan of fruity flavored, dye filled, sports drinks, this is a great option for me. More than 20 scientific studies support drinking chocolate milk as an exercise recovery beverage for adults after strenuous exercise of 45 minutes or more. Chocolate milk also provides fluids for rehydration and has many of the same electrolytes that are added to sports drinks, including potassium and sodium. It helps replenish those electrolytes lost in sweat, which is something I do a lot of, especially when running in the summer. The difference is, chocolate milk is a natural choice when it comes to replacing those electrolytes and to rehydrating. It’s something I’d much rather be putting in my body. 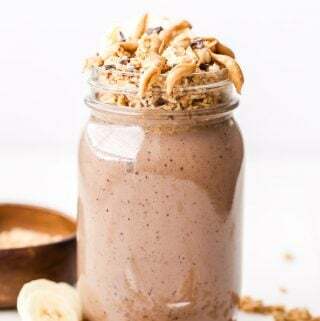 To go along with the chocolate milk in the smoothie parfait, I added a frozen banana for natural sweetness, potassium and to give the smoothie a creamy, thick consistency. For extra protein to keep me full all morning, peanut butter and unsweetened whey protein powder get added in. Research shows that whey protein helps promote muscle repair and recovery after exercise. Then there’s the espresso powder (or finely ground coffee), because let’s face it, we all need a little caffeine jolt after a hard workout. 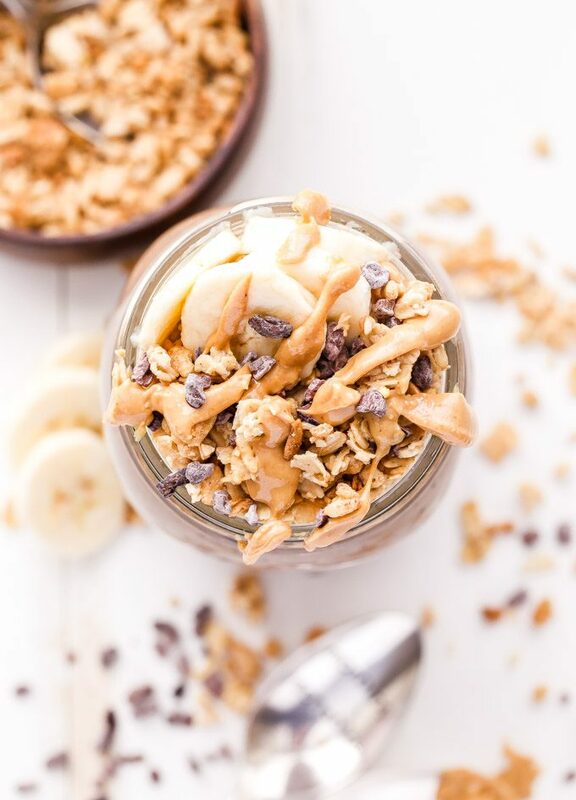 Add all of the ingredients minus the granola to a blender and blend until smooth. Pour into a glass and top with desired amount of granola. Feel free to also add slices of banana and cacao nibs to the topping as well. This smoothie is not light on calories, it's a full meal. Feel free to cut the recipe in half if you are looking for a lighter option. Hi, looking for the smoothie video but I think an energy bite recipe is linked. Thanks! 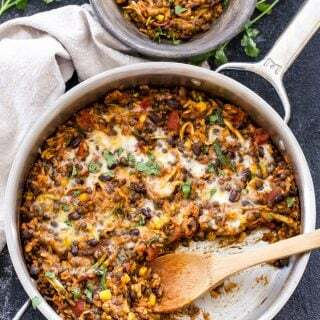 Hi Kathi, This recipe unfortunately doesn't have a video.